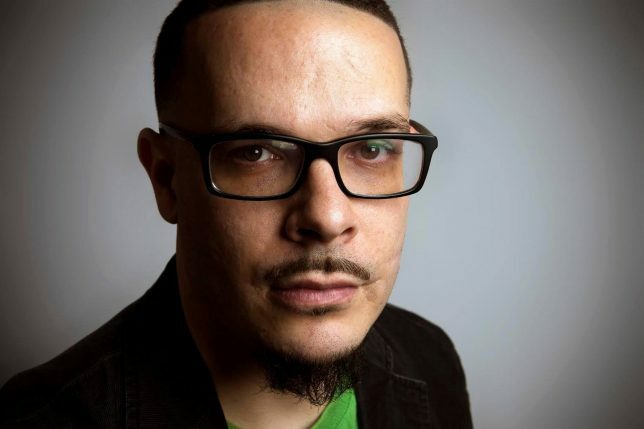 On August 16th, Shaun King, a widely known left-wing activist and political commentator most commonly associated with the Black Lives Matter movement, openly endorsed the violent AntiFa movement in the wake of the violence surrounding the white supremacist Unite the Right rally in Charlottesville, VA.
I’ve now had several people from Charlottesville tell me that brave ANTIFA activists literally saved their lives this past weekend. Several people told me that brave ANTIFA activists intervened and protected them from bigots and white supremacists. Cornel West said this same thing. I support the communists and socialists who stood so damn strong in Charlottesville. This isn’t being said enough, but Heather Heyer, who was murdered by a bigot there, was a part of this community. They are on the front lines. As of publishing, King’s post has received approximately 20K “like” or “love” reactions and has been shared over 2,000 times. King has over 1.5 million people who follow his Facebook page. 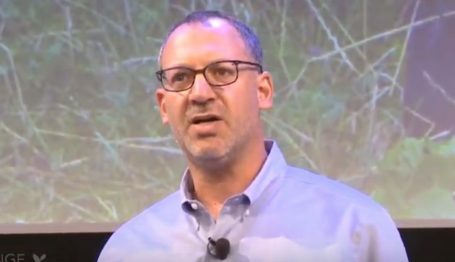 Also, in the aftermath of Charlottesville, mainstream left-wing news organization Democracy Now hosted Dartmouth professor Mark Bray, the author of a pro-AntiFa book. AntiFa has been labeled a terrorist group by the State of New Jersey’s Office of Homeland Security and Preparedness. Mainstream figures endorsing AntiFa potentially represents a major turning point towards the acceptability of political violence. While it’s true that AntiFa fought against violent white supremacists in Charlottesville, most previous violence from them has been directed against much more moderate figures. The Daily Caller News Foundation chronicled political violence against conservatives from June, 2016 to June, 2017, much of which comes from AntiFa groups or associated individuals. 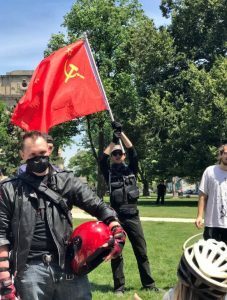 Additionally, while anarcho-communist in philosophy, many AntiFa members openly support the Soviet Union, waving their flag at protests. Estimates for the casualties from mass killings in the Soviet Union under Stalin range as high as 61 million people. 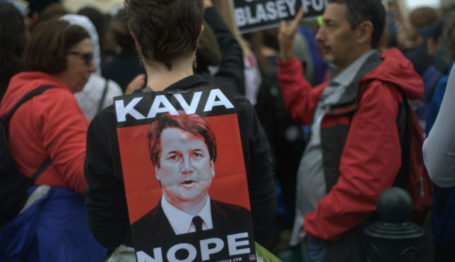 Mainstream support for radical political violence could not come at a worse time given political polarization is the worst it has been since the Civil War. 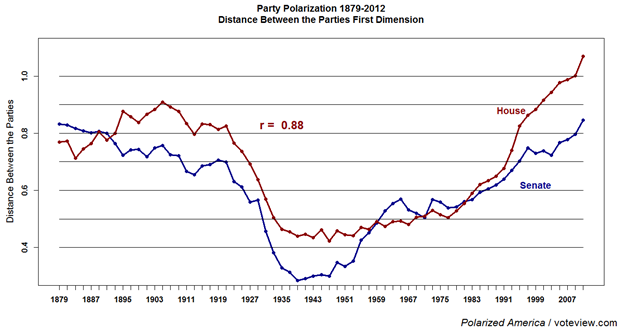 Chart of political party polarization, 1879-2012. Early social psychological researchers began with an understanding of prejudice as blatant bigotry, examining endorsement of hostile and derogatory statements about African Americans, Jews, and others. However, as rates of endorsement of these statements began to wane later in the 20th century, the understanding of prejudice was broadened. McConaghy (1986) drew a distinction between “old-fashioned” racism, exemplified by endorsement of explicit bigotry, and a subtler and more prevalent “modern” racism. Modern racists, like so-called “symbolic” racists (Sears, Henry, & Kosterman, 2000), do not endorse direct hostility to traditional targets of prejudice but instead denied the continuing existence of racism and expressed opposition to affirmative action policies. It was possible to score high on a questionnaire measure of modern racism, and later sexism, without agreeing with any derogatory evaluations of the target group. Nevertheless, such scores were taken to indicate prejudice because they were conceptualized as revealing tacit negative evaluations and were associated with other indicators of prejudice, such as discriminatory behavior.